East Brunswick TV, EBTV, is a department of the East Brunswick Public Library and is the municipal access TV station for the Township of East Brunswick. The library won a state grant to digitize and preserve all their VHS tapes. The project was made possible by a grant from the New Jersey Historical Commission which approved the proposal submitted by IDI to do all of the preservation project for EBTV. 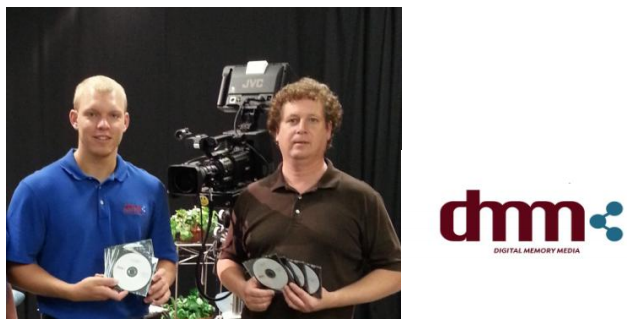 In March 2013 East Brunswick TV contracted with IDI’s Digital Memory Media, DMM, to digitize 1,100 ¾ inch Umatic videotapes of local TV shows and sporting events to an MP4 format on DVD’s and a hard drive. IDI successfully completed the project this past July. EBTV is now planning to have IDI digitize an additional 500 standard VHS tapes later this year. EBTV’s program, This Week in East Brunswick, is the weekly news and information “video magazine” for East Brunswick and the surrounding area. Each edition features stories highlighting different aspects of life in the community such as the EB Historical Society, Middlesex County Cultural & Heritage Commission, Old Bridge Historic District, the Mayor’s State of the Township Address, the celebration of the Township’s 150th Birthday, and high school graduation ceremonies, among others. EBTV has demonstrated a very strong commitment to the history of the township and to quality programming and preservation. The historical video programs of local news and events in and around East Brunswick are now available to the public on the internet. The new DVD’s serve as the permanent archival collection of the town.